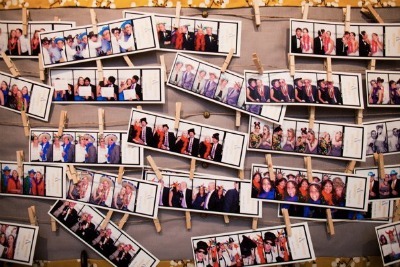 The photo booth has become a fixture at wedding receptions as a form of entertainment and a way to generate unique keepsakes for the couple and their guests. 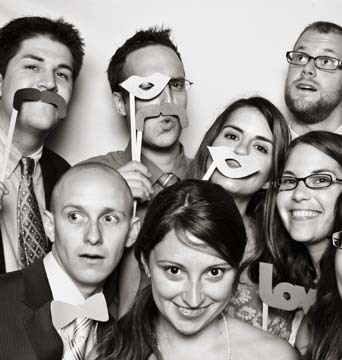 Demand for photo booths has increase dramatically over the past few years. 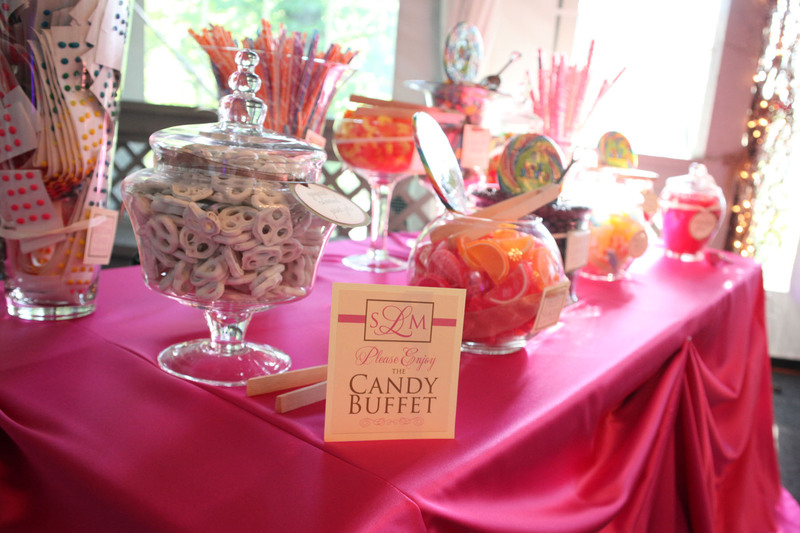 It’s interactive for all of your guests, It adds that pop of fun and excitement to your wedding reception. It isn’t just fun for the kids either; a bride’s 95-year-old grandmother even enjoys the photo booth. 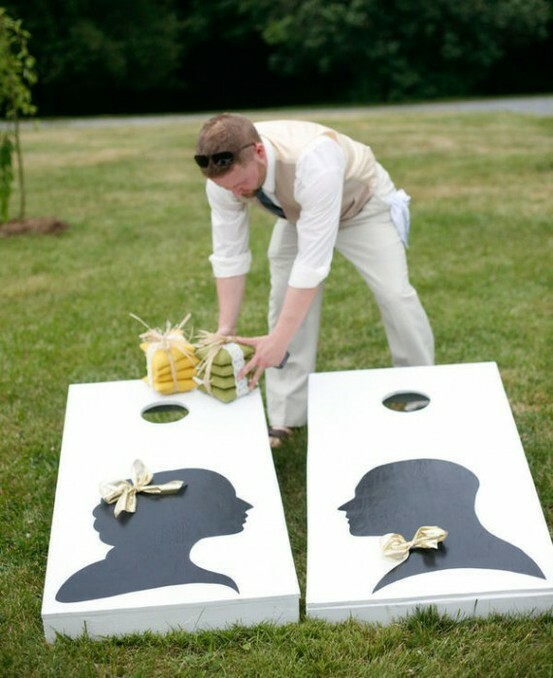 Couples are also moving toward photo booth guestbooks instead of traditional guestbooks. Photo strips are replacing favors. More couples are choosing this specialty at their wedding because it gives their guest something tangible to take away from their wedding that they can scrapbook, frame, or hang on their fridge. Once you’ve decided to include a photo booth as part of your festivities, exploring the different types will help you choose a vendor to capture your wedding memories. These “booths” doesn’t have walls; it simply consists of a taped square on the floor for guests to stand in, a backdrop, a lively photographer, and professional studio lights.You get to see people from the wedding, your friends and family you wouldn’t have been able to otherwise. And the photo resolution is awesome. Pros to no-walls: Room to move/less claustrophobia, more-animated photos because the photographer is interacting with guests. Cons: No photo strips on the spot, so guests can’t take them home as a souvenir or see them right away. These booths, will feature high-resolution cameras and printers, print photos in less than 20 seconds. The photos have a nostalgic feel, however, with black borders on black-and-white photos, white borders on color photos and vignetting along the border. It’s the best of both worlds—bridging the old and new. Inside each booth the screen displays a video of what’s going on between each shot so guests can see themselves. If anyone’s getting cut out of the frame, they can adjust before pushing the button to take the photo. Features can include a back curtain that opens up, allowing room for a number of guests (sometimes up to 20), a 45-degree threshold, and a spacious bench to accommodate older guests. The booths can print two identical photo strips of three photos each, so the guests get a copy as a party favor and the bride and groom get a copy for their guestbook or photo album. 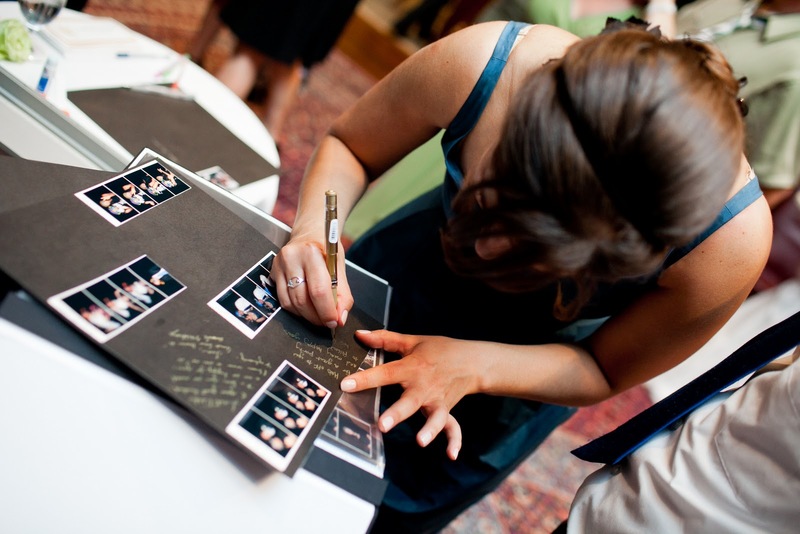 Generally a Photo Booth attendant helps guests with questions and helps build the guestbook for the bride and groom. 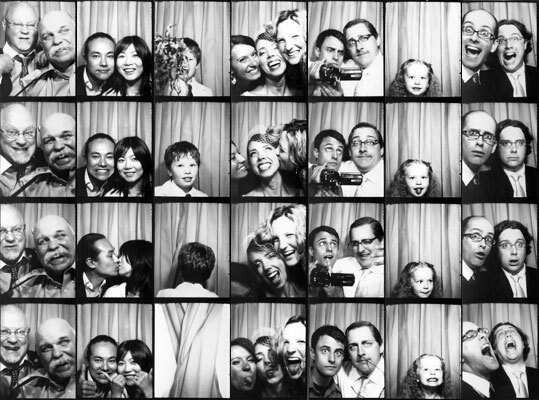 This Photo Booth can also provides a password-protected online gallery that acts as a virtual guestbook where visitors can view photo strips or purchase a CD of images. 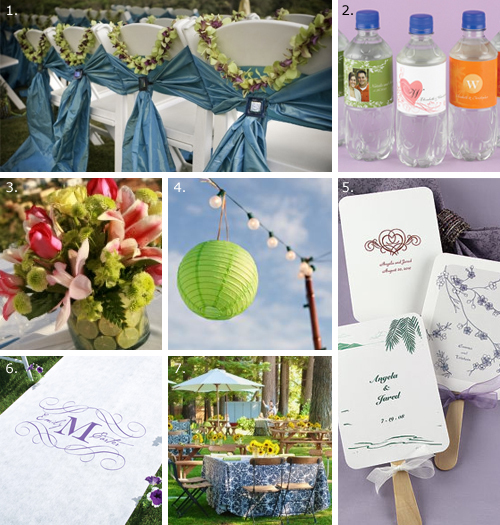 Some companies can also customize photo strips with the bride and groom’s names and wedding date. Pros of a digital photography booth: Quick processing time, customization with wedding date and couple’s names, option for color or black-and-white photos, ability to share photos online with guests. Cons: Less of an antique feel. Guests can see what the photo will look like as it’s being taken, so it might be less candid. These will feature photo booths from the 1940s, ’50s and ’60s in a classic, Art Deco style, with porcelain doors and seats, hardwood tops and rounded edges. There are only a few dozen such booths left in the country, which adds to their vintage appeal, and they’re often a draw for couples getting married in an older building. The nostalgia factor’s can be a huge thing. Although it can take up to two minutes and 35 seconds for photos to be printed in this type of booth, they can usually process up to seven photos at one time. These booths can take over 150 wallet-size strips per hour, with four photos per strip. Pros of an antique photo booth: Vintage appeal, conversation piece, detailed photos that don’t fade, Underwriters Laboratories-approved for safety. Cons: It’s not easy to duplicate photos after the event because there is no copy other than the original strip. 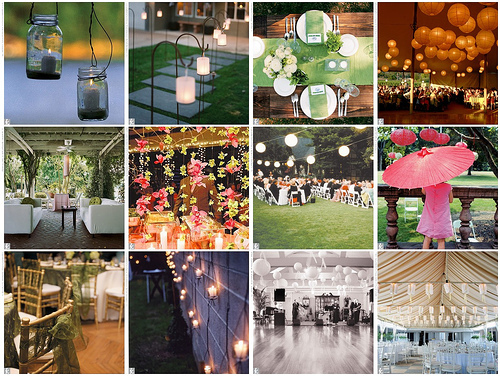 Check out vendors’ photos and test the booth you’re going to rent. Get the photo booth for enough time. The standard three hours may be too short, especially if you have 200 guests or more. Find out how many strips the booth can take per hour. Find props like glasses and hats at thrift or discount stores to increase the fun. 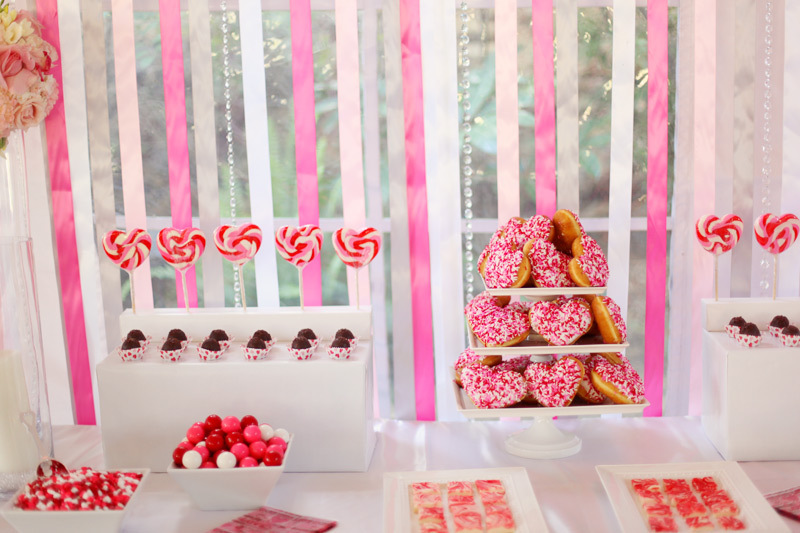 Make sure guests are aware of the photo booth; have someone mention it during his/her toast. 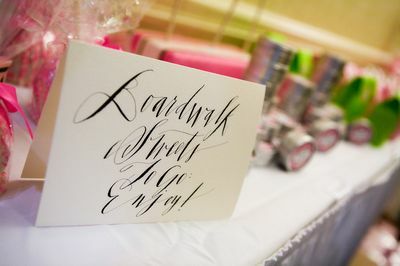 Allot some photos for your guestbook and allow guests to take the rest home. Get a CD of all of the photos later if it’s an option. Wait until the last minute to reserve a booth. Vendors’ calendars fill quickly, especially during the warmer months. Be shy about asking questions about pricing, including whether there are discounts for off-season or Friday or Sunday weddings. 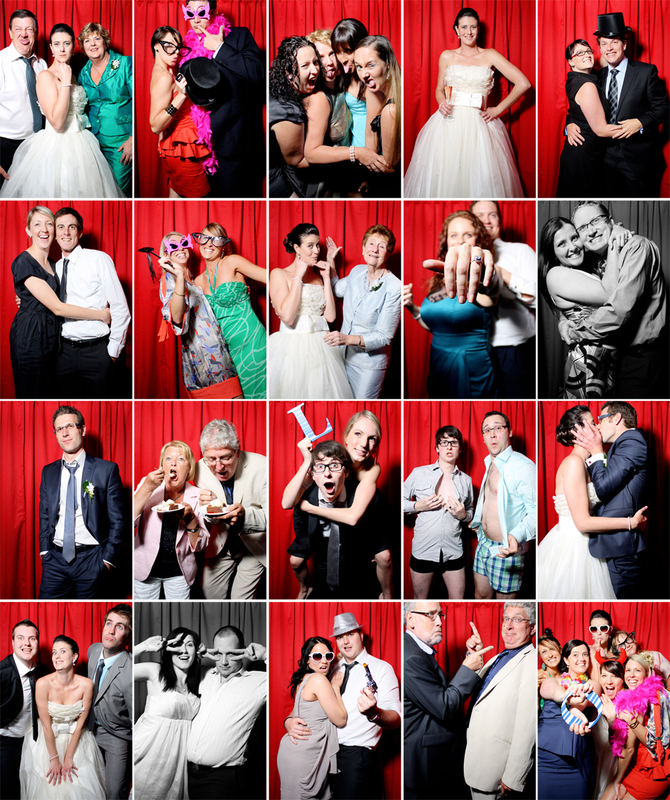 Put the photo booth in a location that is not convenient for guests (e.g., outside, on a different floor, or in an isolated corner away from the festivities). Try to squeeze too many people into a photo booth at one time; heads might get cut out of the frame and expressions might be hidden. Have the photo booth set up too late in the evening, or you’ll miss older guests and families with children. Forget to join in the fun! It will encourage guests’ participation. Just because you want inexpensive wedding favors doesn’t mean they have to look cheap. With these great ideas, no one will know how little you paid for each favor. Most can be found or made for under $2. Raid the dollar store and get some good ideas too. You’ll be surprised with you find there! 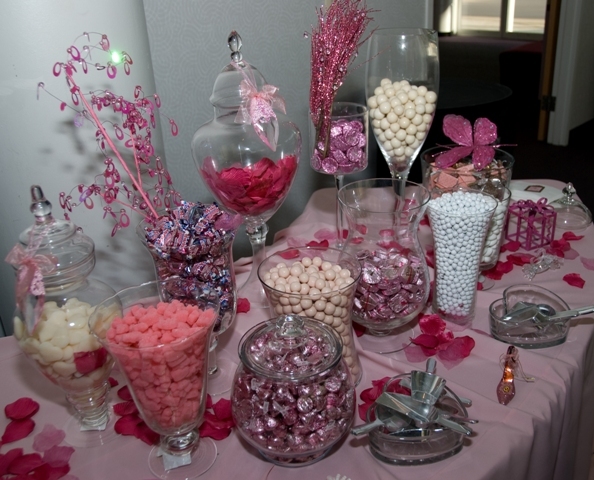 Bags of Kisses: Tie some Hershey’s kisses in silver or gold netting and finish with a pretty ribbon. 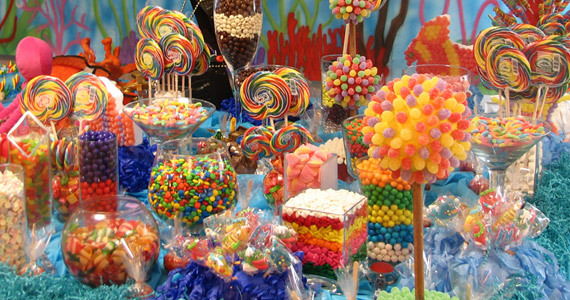 If you’re getting married around Halloween, you can find all sorts of bulk bags and discounts too. Craft stores will have cellophane and netting along with an array of inexpensive ribbon. Glass Coasters: You can find coasters with every design imaginable. Find glass coasters that fit your theme and then tie in a pretty ribbon around them, and you’re done. 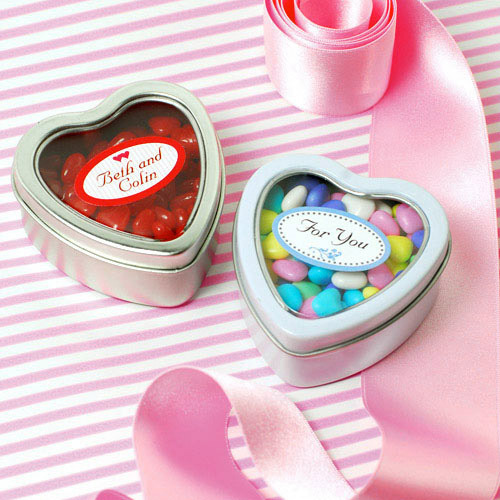 Shaped Favor Boxes: For pennies each you can buy favor boxes shaped in everything from handbags to brides and grooms and more. You’ll have to assemble them yourself as they will arrive flat (thereby saving on cost). 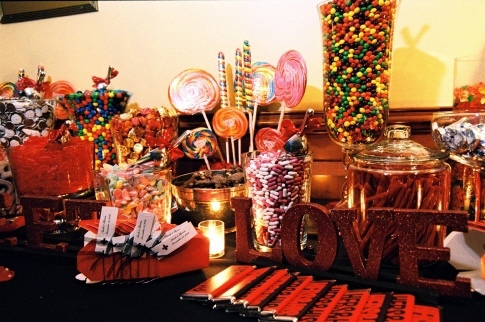 But if you enlist friends and make a night of it, you can have fun putting them together and filling them with chocolates or candies. Magnets: You can find nice magnets at discount stores that go along with your theme. For a beach wedding you might have a starfish or sail boat. For a winter wedding you might have a snowman. Once you find the magnet you like, adhere it to card stock and double it up as a place card or tie a ribbon around it as is. They’ll look charming at each place setting. Key Rings: Order key rings in bulk in a shape that matches your theme and color scheme. You can find them at discount stores, dollar stores and online in just about every shape and size. Choose the best quality you can afford. Photos: You can do a lot with photos using your home printer. You can personalize mugs, mouse pads and more. Or, you can take pictures of memorable places in the town you’re getting married in and create cards or stationery. Think creatively and you will find your printer is your new best friend. For a fraction of hiring someone to print photo gifts you can do it yourself with transfer and iron on paper. Soaps: Soaps are a really nice item to offer as a favor. Many pressed soaps are so lovely that they look much more expensive than they are. Find them in a shape and design that matches your theme. Or, if you really want to get crafty and save money, make your own soap wedding favors. You can find soap-making supplies at discount stores. They have unique molds that will allow you to hand pour your soaps. You can do the same with candles if you like. And you can even add a scent or rose petals to make them even more unique. Weddings can be expensive. Many people save most of their lives for their wedding, and can easily spend thousands alone on just the dress. 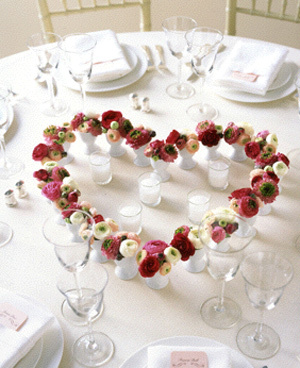 However, planning your own wedding on a strict budget isn’t impossible. In fact, many find it gives them a chance to be more creative, and make a more personable wedding experience, for both you and your guests. With so few couples looking to save, a more competitive wedding vendor market has emerged. You’ll find that not only do you have more options to choose from, but that it is also easy to stick to the budget you’ve set, and not sacrifice your dream wedding. There are a few tips that you can follow that will help you save money and cut spending, all while not sacrificing your wedding vision. 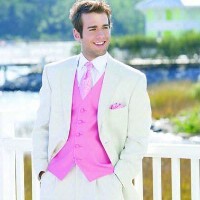 ~ As little as choosing the right date for your big day can affect the overall cost. 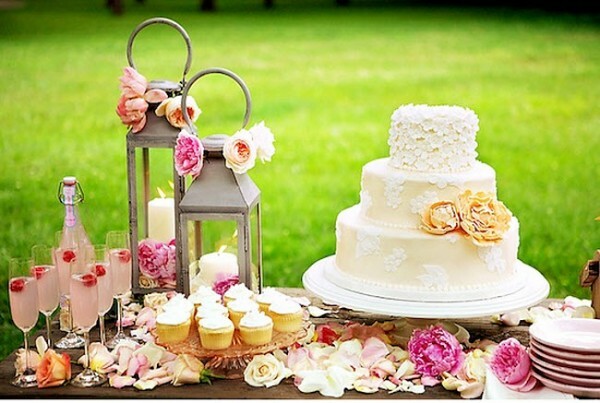 Wedding venues, such as reception halls, will ask near three times the cost for a summer or fall wedding, compared to on off-peak season date. 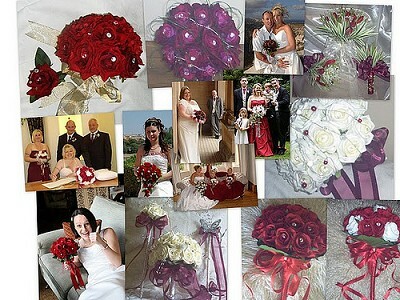 ~ You can also choose a flower that is in bloom during your set date, which cuts down on the costs of expensive imports. ~ When it comes to the dress, avoid those expensive retail stores and check out your online resources. You can find designer dresses for a fraction of the price, sold by former brides. 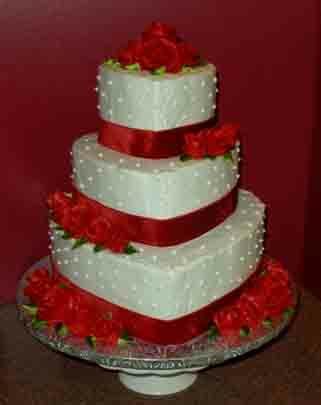 ~ For those brides and grooms who are particularly creative, consider the following options: baking and decorating your own wedding cake, sewing your own gown or bridesmaids dresses, creating gifts for the guests and more. 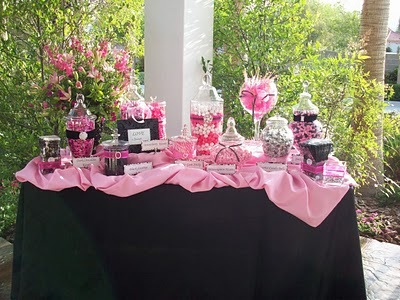 ~ As for the venue, you can easily cut your wedding expenses in half by choosing an nontraditional location. For example, a friend’s back yard, farm, or property. The best part about planning a wedding on a budget? 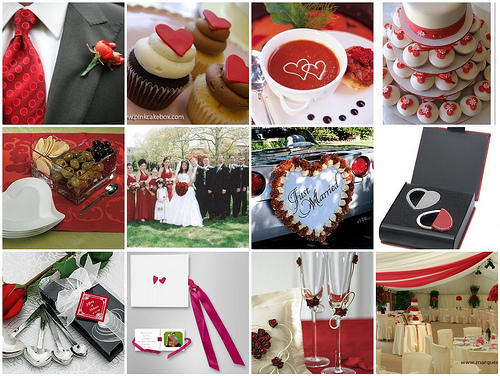 It gives you a chance to think outside the box, and make your big day a truly memorable one.